delicate flower is slightly raised and has a rhinestone in each of the 11 centers. The border of the cross has a bead like edging. A beautiful design that makes a lovely gift and is perfect for many occasions. 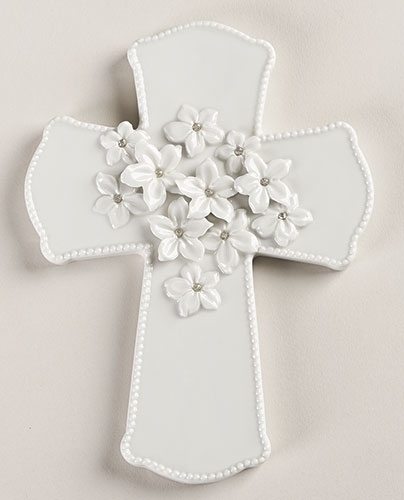 First Communion, Baptism or a Wedding.